A "Dining in the kitchen" concept with Open Concept Kitchens & Dining Room complete with an extensive retail patisserie. 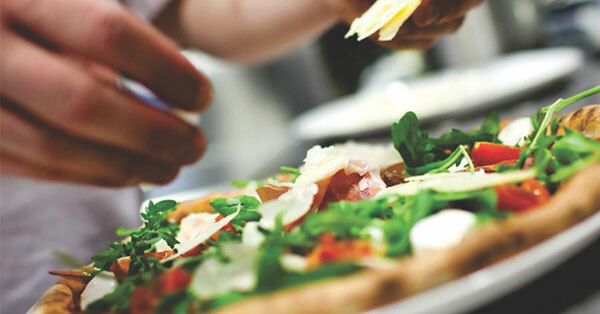 Offers a comprehensive menu incorporating an all-day breakfast, thin crust pizzas, delicious salads, gourmet toasties, giant brioche burgers - light bites through to full meals and scrumptious desserts. An extensive selection of hot and cold beverages. Our qualified Chefs lovingly put your meals together, with passion and enthusiasm, using the best ingredients. The concept of the restaurant is fresh, hygienic and nutritious. Indoor and outdoor seating is available. Combining the art of French pastry with fresh, modern panache, our exquisite decadent treats will tempt you back for more.